C to D is one whole step due to the black key in between them. E to G is a whole step and a half step there are 2 keys between them. 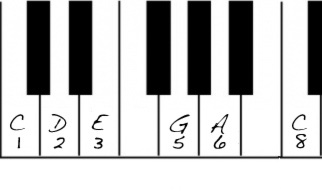 Here are the 5 pattens for the Pentatonic Set on guitar. On guitar there is something called the Pentatonic Set. Its five sets of pattens on guitar. When one plays the set in key its like magic there are NO wrong notes so you can solo away till your hearts content and always play a correct tonal jam in Key. The Best! There are only 5 so its worth remembering and practicing as much as you can. 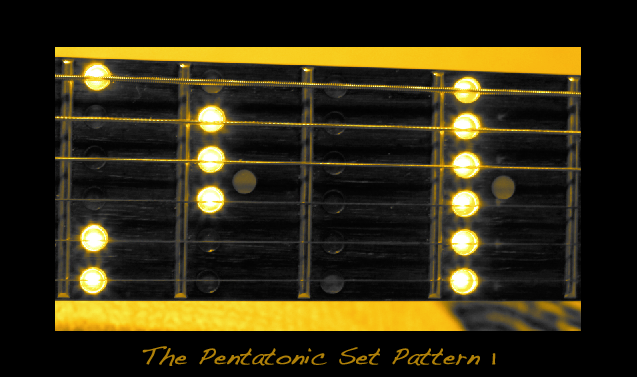 The Pentatonic Set: Pattern 1. 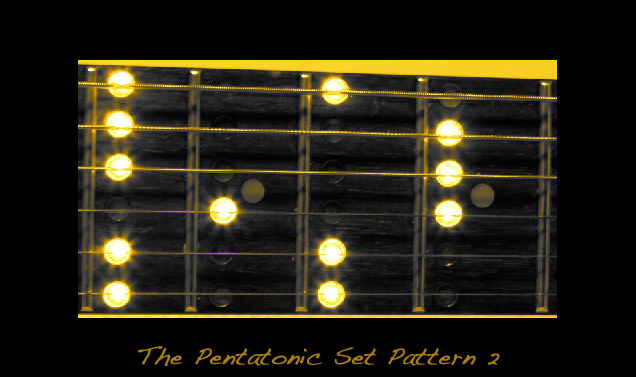 The Pentatonic Set: Pattern 2. 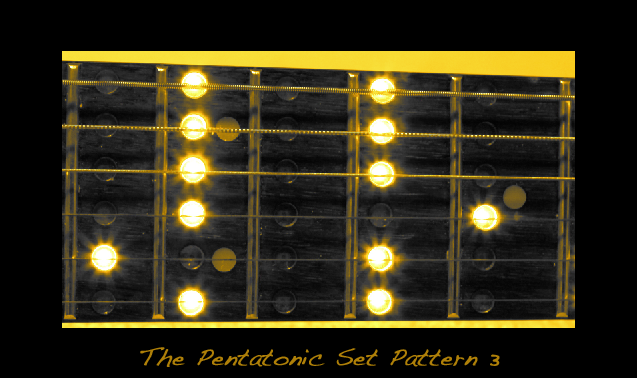 The Pentatonic Set: Pattern 3. 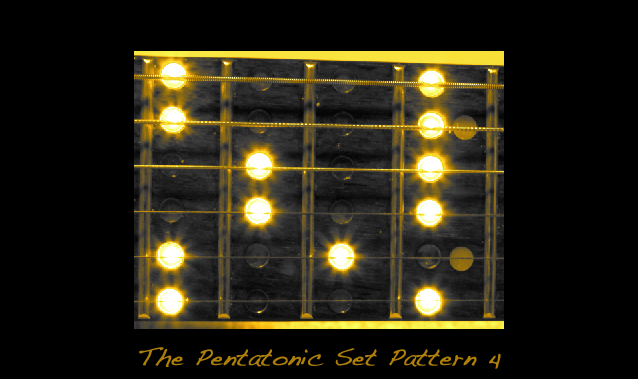 The Pentatonic Set: Pattern 4. 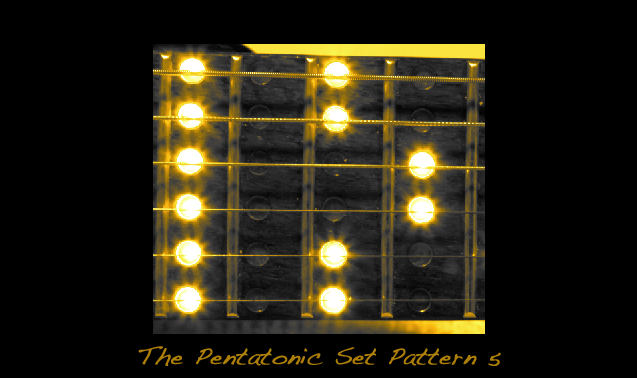 The Pentatonic Set: Pattern 5.